Advanced Surveillance Group is one of Michigan’s premier private detective agencies. 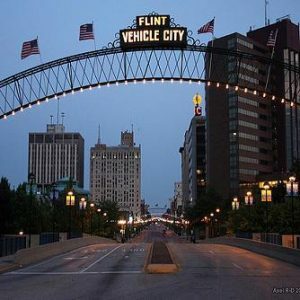 Our team of Flint private investigators are committed to providing the residents of Flint with a wide variety of private investigation services and have been doing so since 1999. Our professional investigators are licensed and insured with years of investigative experience underneath their belts. Looking for a missing relative? Think you’ve got an employee trying to defraud you? Or, maybe you’re concerned your spouse is running around on you? Our Flint private investigators will excel at undercover work and always fly well below the radar when doing so. In addition, our Flint private investigator is trained to interview witnesses, perform background checks, and recover assets. Ultimately, businesses need to safeguard their company and protect both their assets and their employees. Our Mid-Michigan investigators are skilled at helping them do just that. WE provide Corporate Investigations services that include and running background checks and performing criminal records searches. We also offer new employee screening services. As Michigan Licensed Private Investigators, we have access to information that most people, including those in the legal profession, don’t. When it comes to getting information, we dig deep. We don’t quit until you have everything you need, whether it’s information on a cheating spouse, or proof of an employee stealing. We monitor phone records, including text messages, and we even look at social media content. No shortcuts here! Just detailed and reliable information and reports. Located about an hour north of Detroit, the city of Flint has experienced it’s share of crisis over the years. For many years, it was known as “Vehicle City” and in 1950 was second only to Detroit in the manufacturing of automobiles, auto parts, and supplies sin the United States. During the late 1980’s and early 1990’s, General Motors began to relocate many of its plants and the city was left a with shrinking economy and dwindling population. In 2014, Flint began to source its water from the Flint River. It was later determined that the water was contaminated with lead. Between 6,000-12,000 children continue to suffer from a range of health problems due to the contaminated water. While the city is still dealing with the aftereffects of the water crisis, recent investments and changes within the government point to positive signs of grown for the City of Flint.